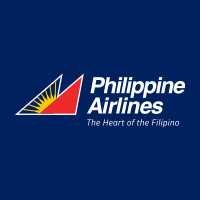 Southeast Asian Airlines: has seasonal flights to Batanes, which means it has flights only during peak season travel, and suspends its flights during low season travel. As of this writing, it has no flights to Batanes. The reservation officer said it may begin flights in October 2012. Skypasada Airlines: they have early morning flights twice a week from Manila to Batanes (Wednesday and Fridays), and afternoon flights twice a week from Batanes to Manila (Thursdays and Sundays). You can book flights online here. There are no RORO routes so it cannot even be accessed by motorbikes or other means of transportation. You can motorbike to Laoag or Tuguegarao but you still have to ride a plane from there to go to Batanes. You have to leave your motorbike in Laoag or Tuguegarao because the small planes landing at Basco airport cannot carry it. Even if the planes are willing to carry it, you will be charged at least 2 passengers worth of airfare. And that will be too expensive for the privilege of riding your motorbike around Batanes. Overall, it's cheaper to fly then to rent a motorcycle from the locals. I will update you when this happens. For now, SEAIR is the only airlines flying direct from Manila-Batanes. Regular flights of SEAIR from Manila to Batanes and vice versa is once a day. So it's best to book early. Seair uses the Dornier 328 planes, which only has 32 passengers per flight. This means only 32 passengers arrive in Batanes per day. During Spring (which is March to April), they have two flights per day. The second flight they open, which is the 5am flight, is usually delayed by an hour or two. So it's better to book the 8am flight rather than the 5am flight. You don't have to wake up too early only to end up leaving almost the same time as the 8am flight. Then in May, they increased flights again to three times a day. The rest of the year, they have only one flight per day. there are no child fare discounts. the online payment can be made using Visa or Mastercard. the online buyer is required to present the card that was used to purchase the ticket. Therefore, they require that at least one person in the group is the online buyer. SEAIR currently flies from the Manila Domestic Airport. There are only two airlines flying from the Domestic Terminal. So, even during peak season, this terminal will not be crowded. Very useful info, but it's to expensive to go there. thanks for posting. Would you know the rates for SkyPasada and Skyjet? Thanks!